* For a proper one you can use arborio rice but it's expensive so Chef Zam recommends a cheaper alternative with any kind of soft rice such as Flora brand. 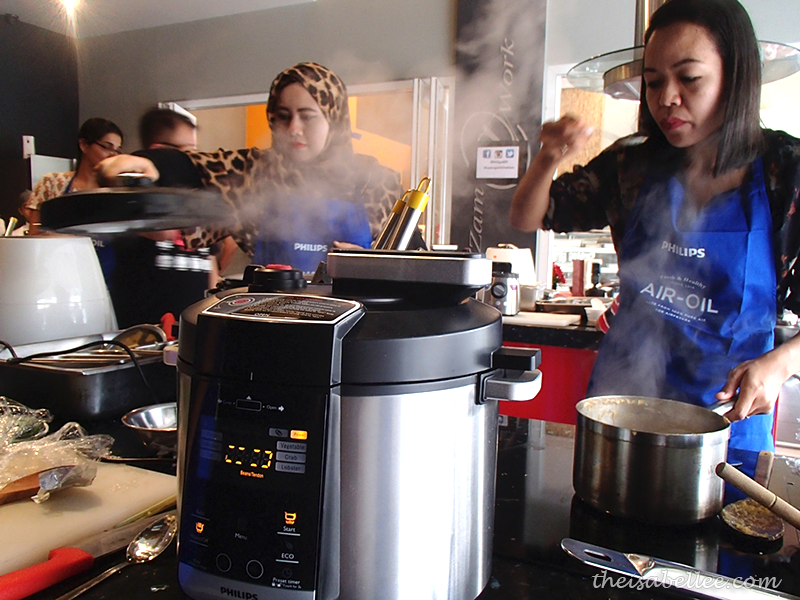 All the cooking is done using ONE pot - Philips Pressure Cooker. So convenient and less stuff to wash! Amazing.. Step 1: Using a pressure cooker, heat olive oil and 1/3 of butter. 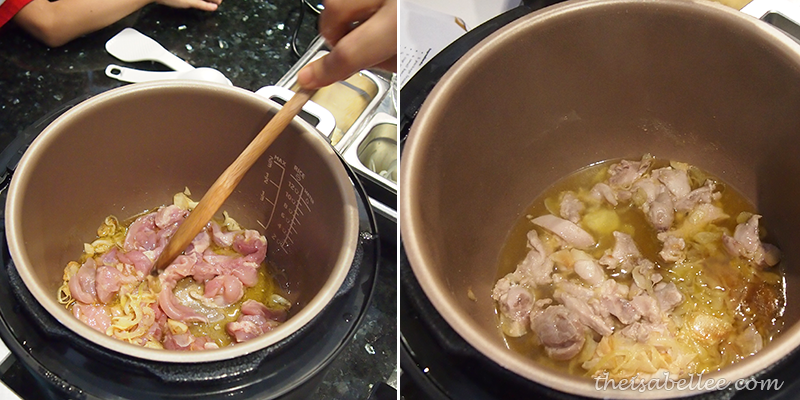 Step 2: Add chopped garlic and cook for 20 seconds. Step 3: Combine chopped onions and cumin powder. Allow to cook for a minute. 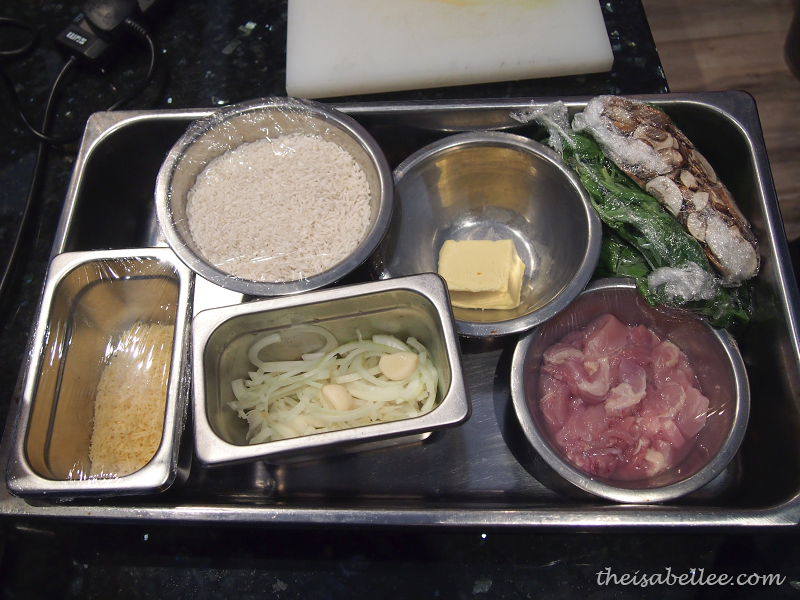 Step 5: Add the mushrooms, then rice and water. 1 cup rice to 2 cups water. Stir well. Step 6: Add vegetable stock and bring to boil. 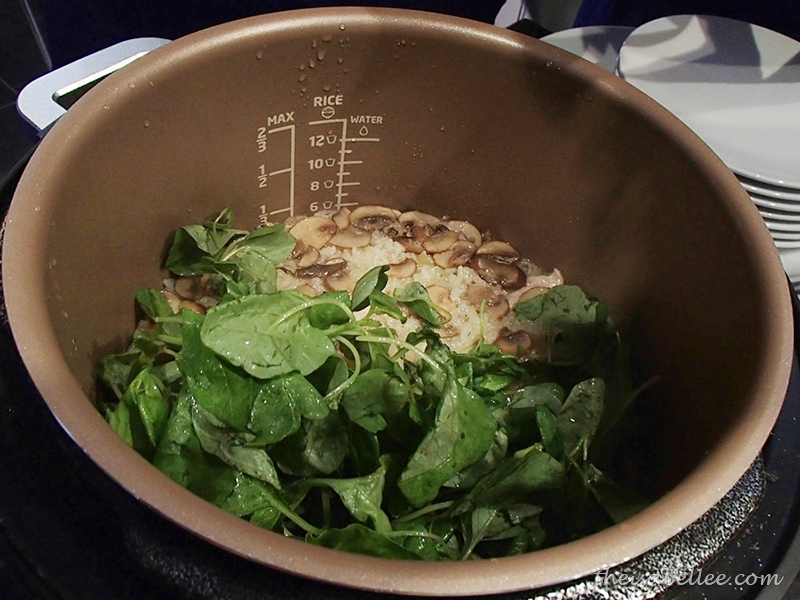 Step 7: Close pressure cooker lid, bring it to pressure and cook on high pressure for 7 minutes. Step 8: Remove from heat and release the pressure. Step 9: Stir in remaining butter and parmesan cheese. 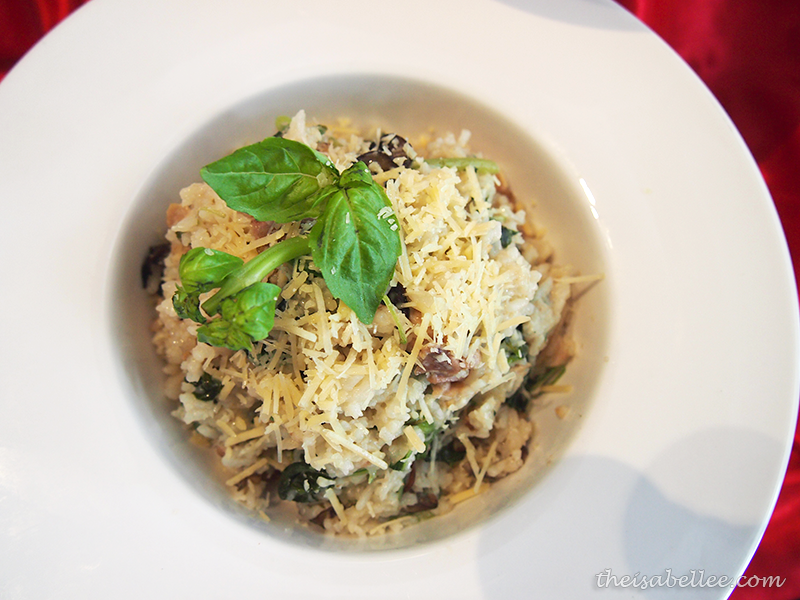 Step 10: Stir in basil leaves and baby spinach and it’s ready to serve. Optional: Sprinkle on more cheese! 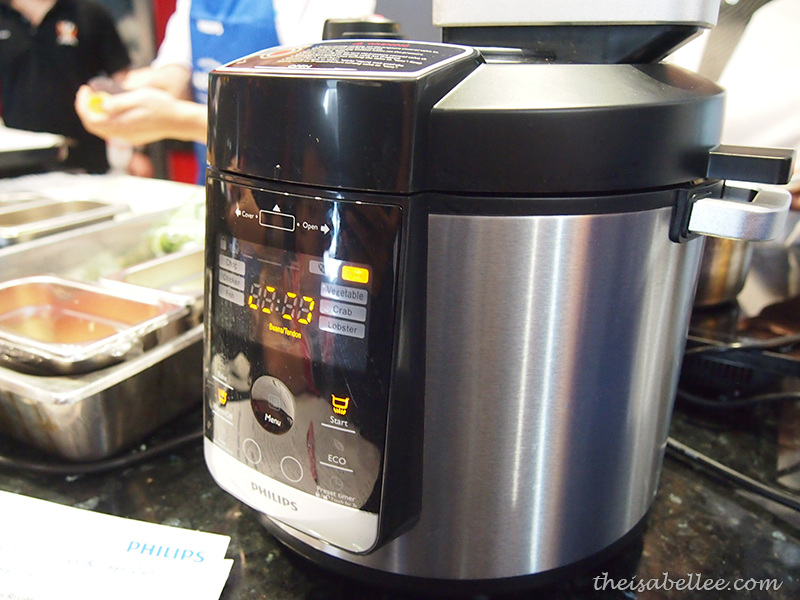 Confession - Elie & I forgot about our risotto =x Luckily, we were using the Philips pressure cooker so it turned out fine! If not it would have been charcoal black already. The dish smelt and tasted amazing! In Chef Zam's style - sedap gila! 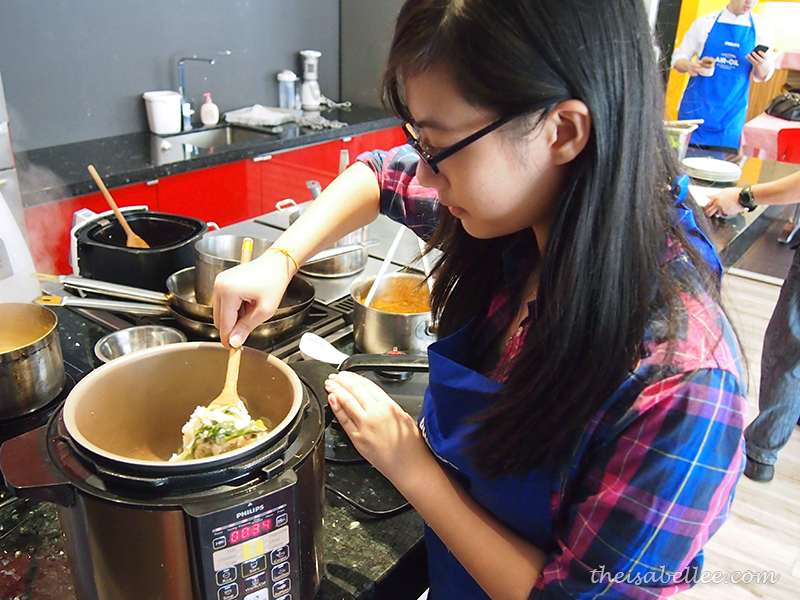 Up next - Ayam Percik recipe! Really smells very nice.. Yummy!! Yes! 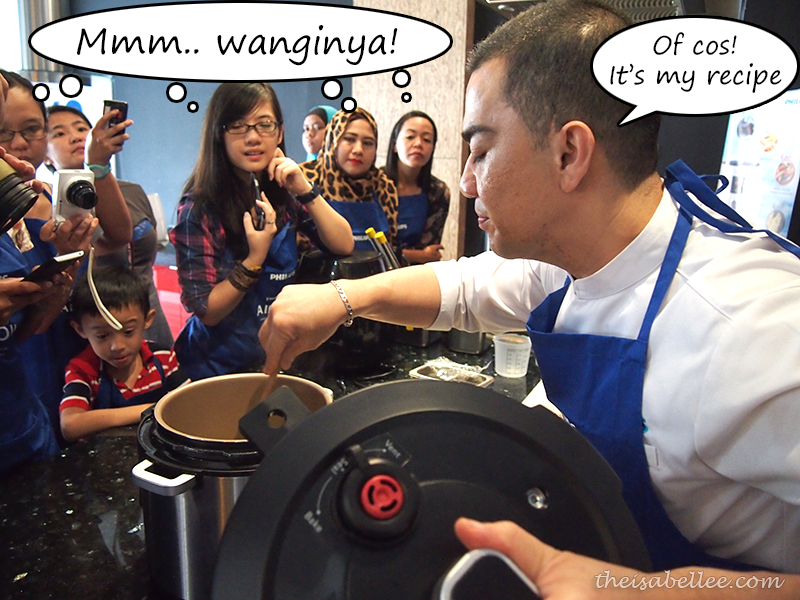 Especially when he opened the pressure cooker kan? This is a very nice post. Thank you for sharing this. Love the foods. 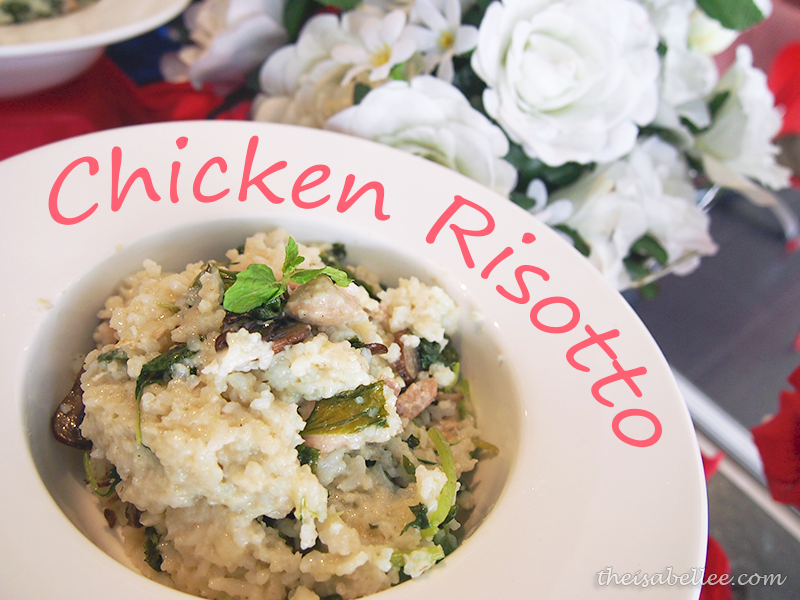 Chicken Risotto is a very delicious recipe. Thanks for the ingredients and recipe.